This stunning sterling silver woodland bangle is decorated with four prancing foxes. 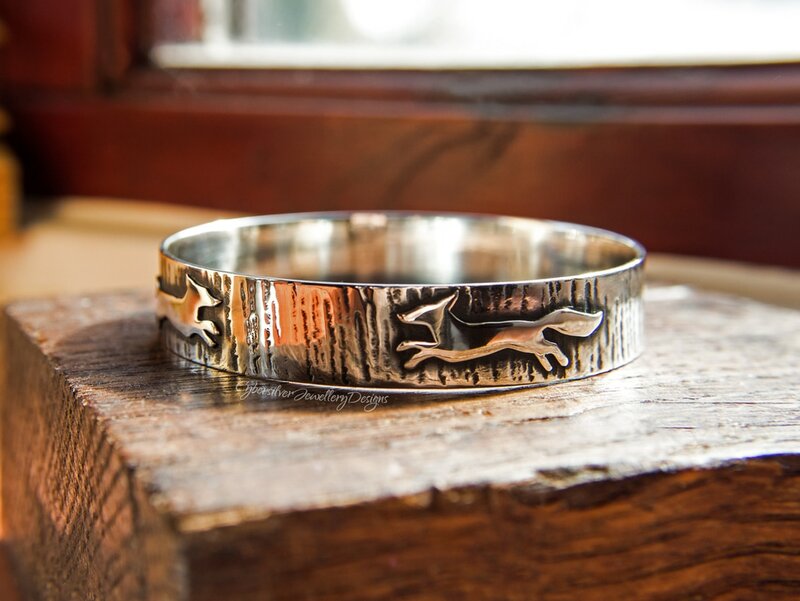 Each fox is meticulously cut by hand and soldered individually to the bangle. The bangle is hand forged from thick sterling silver to my unique design. 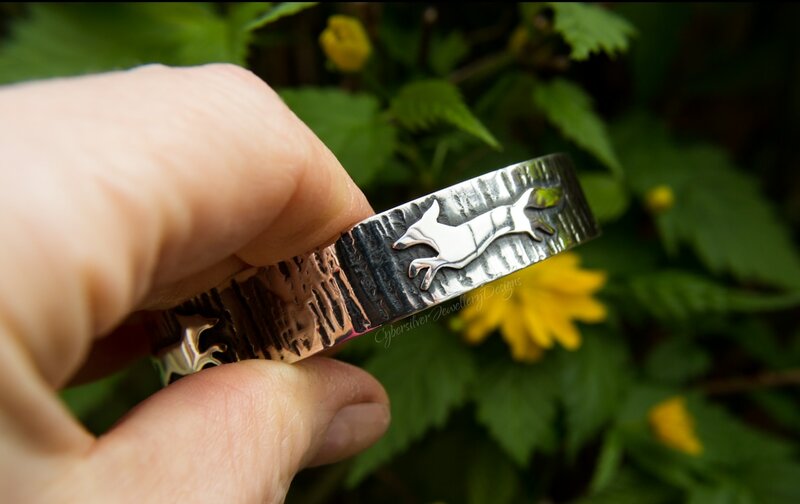 I've given the bangle a woodland background so that the foxes appear to be running through a forest or wood. 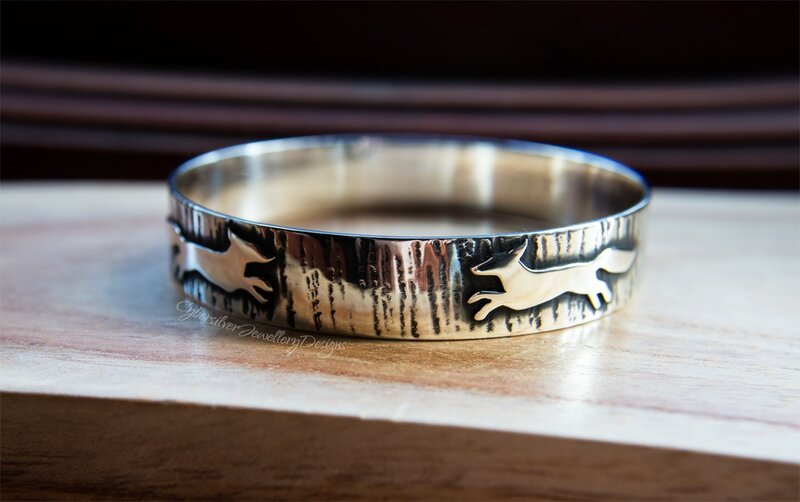 The silver has been oxidised and polished and then waxed with a special microcrystalline wax to help protect the oxidised surface. Your bangle comes gift boxed - perfect for giving. 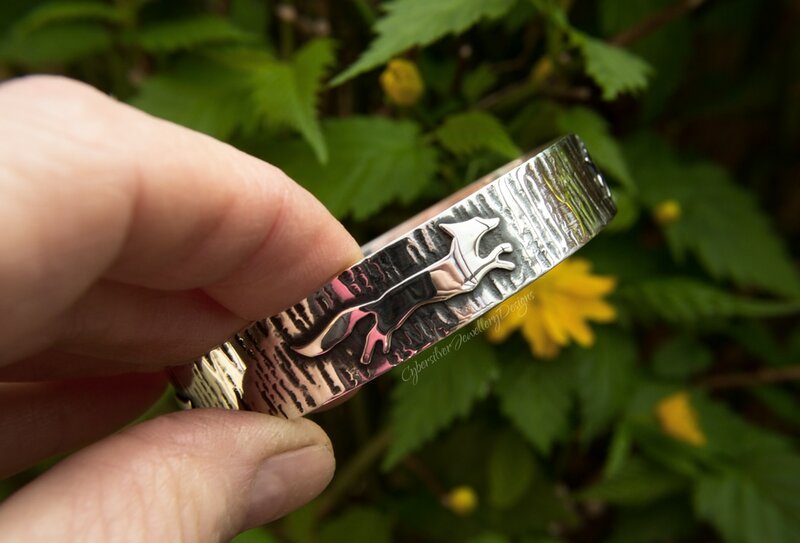 This piece carries a full set of UK hallmarks and my maker's mark as issued by Goldsmiths Assay of London - this is your guarantee of quality and silver purity. Size - Small - inner diameter 60 mm / 2.37" - inner circumference 18.95 cm / 7.45"
Medium - inner diameter 64 mm / 2.5" - inner circumference 19.94 cm / 7.85"
Large - inner diameter 66 mm / 2.62" - inner circumference 20.93 cm / 8.24"
Extra Large - inner diameter 70 mm / 2.75" - inner circumference 21.95 cm / 8.63"
Delivery - To ensure you receive your bangle safely and securely, I post Special Delivery. 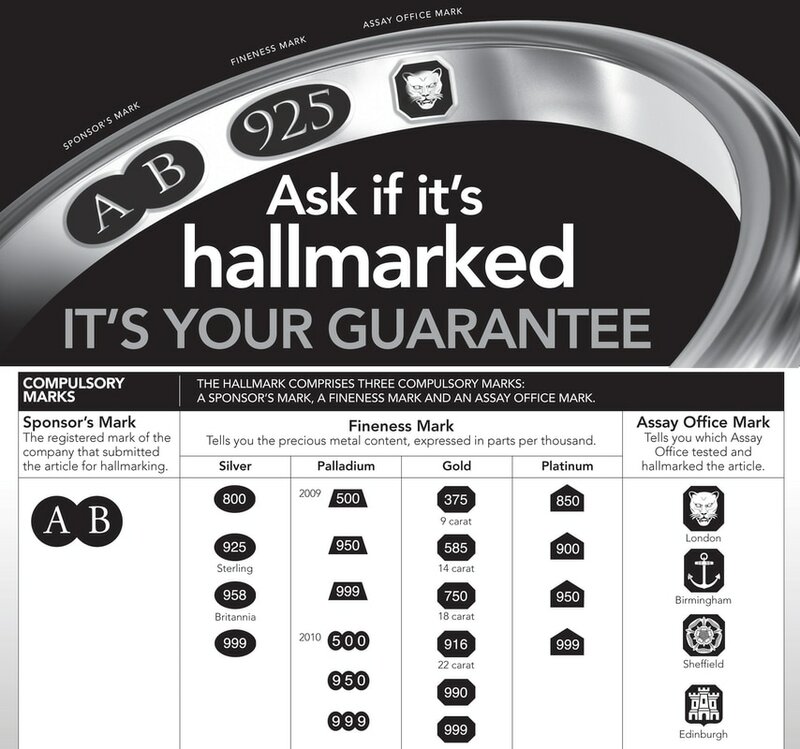 Royal Mail will not insure jewellery sent any other way. This is a next-day, tracked, insured and signed-for service. International orders are sent International Tracked and Signed For. I will send you your unique tracking number as soon as I have posted.